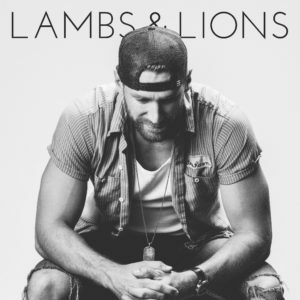 Chase Rice – Lambs & Lions Reviewed: Rice proves that variety is the spice of life with eclectic new record. Chase Rice is an artist who has been on quite a journey. With four albums to his name, you’d be forgiven for thinking that he’s quite the journeyman in country music. Despite it was album number three ‘Ignite the Night’ that really brought him success with the hit single ‘Ready Set Roll’. Following on from this a split with his label ensued with Rice wanting to take a chance and do things his way and he now finds himself at home with Broken Bow Records. His latest album ‘Lambs & Lions’ was released in November this year. The album kicks of with ‘Lions’. The song starts with a chanted rendition of the Lord’s Prayer with distorted guitars fading in before we’re hit with a big instrumental intro. It’s an intense start to the record before Rice’s vocals come in singing words of defiance “float like a butterfly, sting like a bee, they can’t keep us on a leash” are sung like the words of a man who is proud to do things his own way. The big chorus and huge guitars mean it’s sure to be a live favourite. ‘On Tonight’ takes things down a notch with a rolling picked acoustic guitar at the start building to another big chorus. It’s a song typical of the current rock/pop country that is making it big in the charts and reminds you of the likes of Jason Aldean. Track three definitely takes things in a slightly different direction in ‘Unforgettable’. This is a soulful tune with definite R&B flavours – it’s something that you could imagine Thomas Rhett performing. It’s a song that looks back at a lost love and laments how you’d never have let it go if you’d realised how much you’d miss that person when they weren’t there. ‘Eyes on You’ kicks off with a foot tapping and finger clicking piano intro. It’s a big love song with a great sing-a-long chorus. There’s no doubt that Chase Rice has a knack for writing a great country love song. There are shades of that Sam Hunt style spoken verses that break the song up nicely. One of my favourite songs on the album is the emotional and heartfelt ‘Saved Me’. It’s a tender song about finding the right person in your life that comes along and saves you from the mistakes that you’ve made. In the big chorus Rice sings “right on the edge falling fast and hard, finally a life that ain’t fallin’ apart… leave it to me to play the fool who thinks numbing the pain makes you bullet proof”. It’s worth pointing out at this point that Rice has writing credits on all but two songs on the album and it feels like we are really tapping into something personal for him in this song. ‘One Love One Kiss One Drink One Song’ takes us back in that Sam Hunt-esque country/R&B/pop direction with spoken word verses and a big chorus. It’s definitely the kind of song that you can really feel fitting into the popular country market at the moment. The next song is an all out fun country drinking song in the form of ‘Jack Daniels Showed Up’. It’s a down and dirty tune about planning to have a drink or two but ending up breaking out the JD and getting carried away. It’ll doubtless be a song that gets people raising a glass at shows. Next up is the lead single from the album in ‘Three Chords and The Truth’. This is a brilliant song and a great ode to country music and the effect that it has on all of us listeners over time. It’s really heartfelt stuff with a brilliant chorus that name drops ‘Sweet Home Alabama’ and ‘Ring of Fire’ amongst others. Rice sings, “All I need is you and three chords and the truth” with all of the passion of a man who lives for country music. The penultimate song on the album, ‘Amen’, is an emotional gospel song that touches the heartstrings again. It’s a reflective song that looks back on life and its ups and downs. For the most part Rice is just accompanied by a piano in the sparse production before a choir joins him. I’m not ashamed to admit that this song brought a tear to my eye as I listened to it on a sunny winter’s day thinking about a friend that I’d recently lost. It just goes to show the emotions and the healing that a great song can produce. The last song on the album is a fun cover of ‘This Cowboy’s Hat’. The song is very traditional sounding and features Ned LeDoux on joint vocals. It feels like a song that could be the soundtrack to a western and tells the story of a cowboy who is mocked by a gang on bikers in a bar for wearing his hat. This is an interesting album from Chase Rice. Over the ten songs he proves that there is no reason to be afraid of switching between different styles in the genre with great success. Songs like ‘On Tonight’ sit perfectly well with ‘Amen’ or ‘This Cowboy’s Hat’ without seeming confused or out of place. There are two or three songs on this album that I think are absolutely brilliant but the issue is taste. For my tastes I love the likes of ‘Saved Me’ but can live without ‘One Love One Kiss One Drink One Song’. This means that as an album it may be hard for a lot of people to love all the way through but huge kudos to Chase for producing the album that he wants. It’s well worth a listen and I can guarantee that most country fans will find at least one song that they love on here.